Earlier this week, I had the privilege of spending two days in Atlanta with the Passion team as they are preparing to host Passion2015. They are such an incredibly welcoming, generous and encouraging group of people that it really is hard to put into words what a joy it is to spend time with them. But even more importantly to me, they are a group of people who love Jesus, champion the glory of God and want to see awakening in the collegiate generation. When an organization gets as large as Passion, the cynic in all of us wonders what really drives them – is it crowds, record sales and fame or is it Jesus? For what it’s worth, I can tell you that I know the answer for Passion. It is without a doubt Jesus – His fame, His glory and His renown. The reason I love Passion so much is because they love Jesus so beautifully. If you’re in the collegiate generation (18-25 years old), you really need to get to Passion2015. The first gathering in Atlanta is sold out but there’s still space at the second Atlanta gathering and the Houston gathering. I honestly believe these will be life altering days if you’re able to join us for Passion2015. 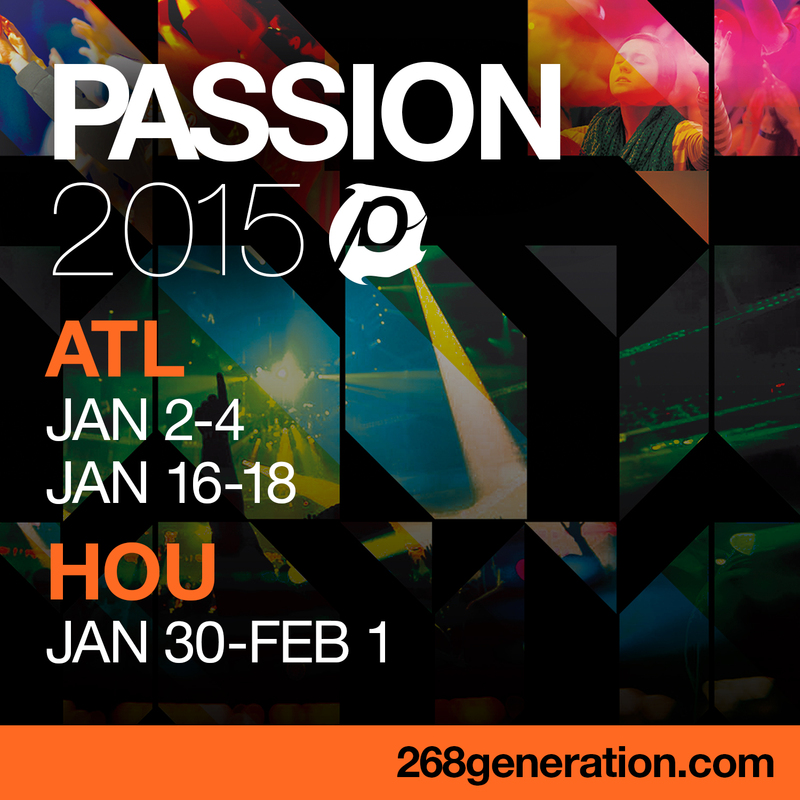 You can learn more and register at: http://268generation.com/passion2015/. Trust me, you don’t want to miss out on these days!